The Eternal Purpose is God’s purpose for His Church. He planned it and He has accomplished it in Christ. So if it's God’s purpose, then that means it's for Him to decide how it's to be outworked. Therefore it's God who directs us how His Eternal Purpose is to be fulfilled. How does God show us how His purpose is to be outworked? First and foremost, in His Written Word: the Bible. The 8th Tenet of the Apostolic Church states that we believe in ‘the Divine inspiration and authority of the Holy Scriptures.’ This authority of Scripture isn’t limited in any way; the Bible is authoritative on whatever subject it speaks. This includes when it speaks on the nature, mission and structure of the Church. This is what we’ve always aspired to: for our practice, and not only our preaching, to be as biblical as possible. Our desire to follow the biblical pattern for the life and mission of the Church is, of course, rooted in our strong commitment to the authority of God’s Word, for we know that when the Bible speaks, God speaks. However, this commitment to the biblical pattern is also linked to our understanding of the Church as central to God’s Eternal Purpose. Because of the value we place on the Church in God’s purpose, we see the importance of the Church in its own right. It is important because it is God’s chosen instrument. Others, who don’t place emphasis on the Eternal Purpose, may be more inclined to miss the importance of the Church and view it simply as a means to an end. As a consequence they often take a more ad hoc and pragmatic approach to the life of the Church. For example, they might see the church as a useful tool in evangelism or in encouraging holiness, but they don’t see it as particularly important in its own right. 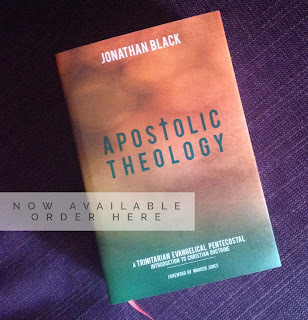 This means that a pragmatic approach to ecclesiology can take root; if the Church is simply a useful evangelistic tool, then surely the best approach to church life would be the one which seems to work best evangelistically. When the Church is thought of in this way many decisions about church life are seen as pragmatic decisions about what works, rather than biblical/theological matters. One of the big problems though, is that the end result of a pragmatic ecclesiology depends on the decision as to what it is the ultimate goal. That means pragmatism can lead to very different results (an evangelistic gathering, a society for the promotion of holiness, a meeting for the expression of a particular religious experience, a study-group, etc.). However, if we see the ultimate goal as God’s Eternal Purpose, centred in Christ and His Church, then we'll see that the Church has an importance in its own right, rather than simply as a useful means to an end. It is not we who are making use of the Church in the furtherance of godly ends, but God who's using His Church in the outworking of His Eternal Purpose. Therefore it's not up to us how best to make use of the church, but up to God. So, rather than taking a pragmatic approach to ecclesiology, we believe that the Bible teaches how the Church is to be ordered. Historically, this has been a very important aspect of being Apostolic. In the early days there was a lot of talk about ‘setting in order’. When a new assembly was planted or if a local church decided to join the Apostolic Church, it had to be set in order. What was meant by this was ordering the assembly according to the Biblical pattern. So, for example, in the early 20th century, most other movements, taking a more pragmatic approach to ecclesiology, did not have elders. So if an independent church decided to join the Apostolic Church, elders had to be ordained in keeping with the biblical pattern of a plurality of elders in each assembly (Acts 14:23; 20:17,28; James 5:14; 1 Tim. 5:17; Titus 1:5; Phil. 1:1). 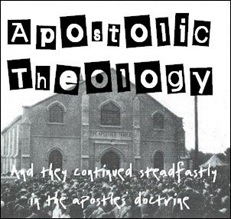 So, the Apostolic approach to the Church is rooted in the Biblical pattern rather than in pragmatism. Of course, this is not to say that there is no place for any pragmatic decisions whatsoever in church life; yet the big picture of the nature, mission, structure and worship of the Church are to be modelled on the Scriptural pattern. Our methodology should be governed by our ecclesiology. In other words, what we do should be governed by what we believe. God is working out His Eternal Purpose in and through the Body of Christ. And if God is the one who's working His Purpose out, then we should look to His Word to see how He wants us to play our part.